Healthy Paws is the top-rated pet health insurance company in the country. First and foremost, we're pet-lovers. Our compassion for pets, and our passion to assure a better life for all pets, drives us to offer the best product, to hire the best employees, and offer an extraordinary caliber of service that only passion and proven experience can provide. Everything we do is driven from our love of animals and providing an exceptional experience to pet parents who've enrolled their furry family members with us! 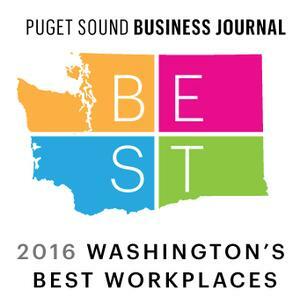 Healthy Paws is a silver medalist in Puget Sound Business Journal's 2016 Washington's Best Workplaces competition. Come work with us! We are rapidly growing and adding to our pet-passionate team. Headquartered in Bellevue, Washington, we currently seek only local candidates. Please check our open positions below. Our Customer Care Team is the heart of our organization and works hard to support current and future customers. We are currently looking for a full-time customer care specialist to join our dedicated team in Bellevue, Washington. If you are passionate about animals, enjoy working with the people that care for them, and have veterinary clinic experience, this is a great opportunity for you! Answer customer care calls regarding sales, claims, and general questions. Respond to customer email inquiries and requests. Troubleshoot any customer account issues. Passion and love for animals. Fun, easy-going personality with the ability to easily converse with current and prospective customers. Excellent computer skills, including proficiency in Microsoft applications (Excel and Word). Proven ability to work well with others in order to maximize the effectiveness of the team. Enthusiasm to work in a high energy, start-up environment. Strong multitasking skills and the initiative to complete tasks independently. Flexible schedule with the ability to work long hours as needed. Interested candidates can apply online. Principals only. Recruiters, please do not contact us with unsolicited services or offers.